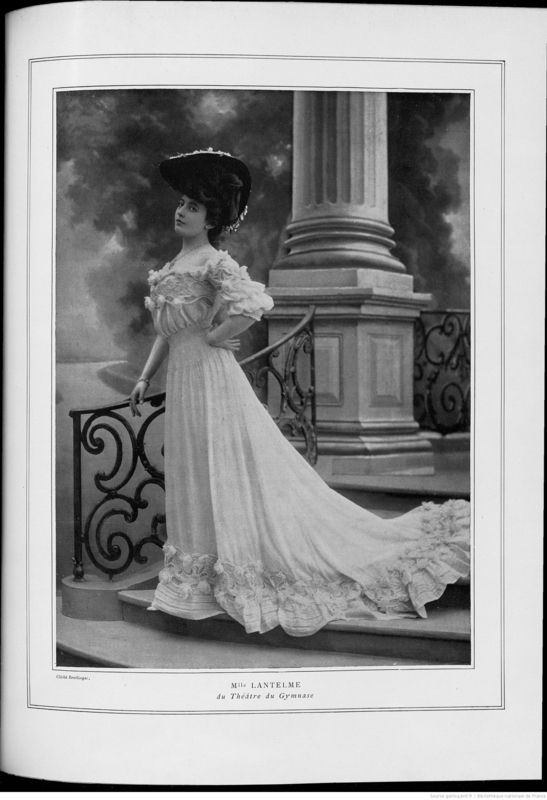 Lantelme in Les Modes (May 1902). 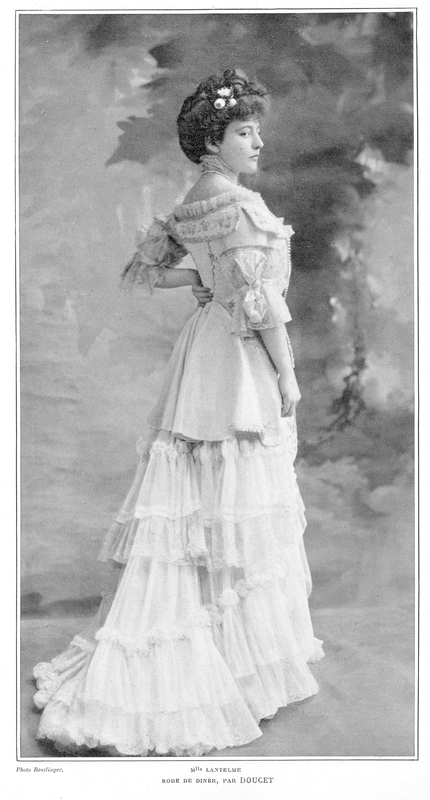 Dress by Paquin. 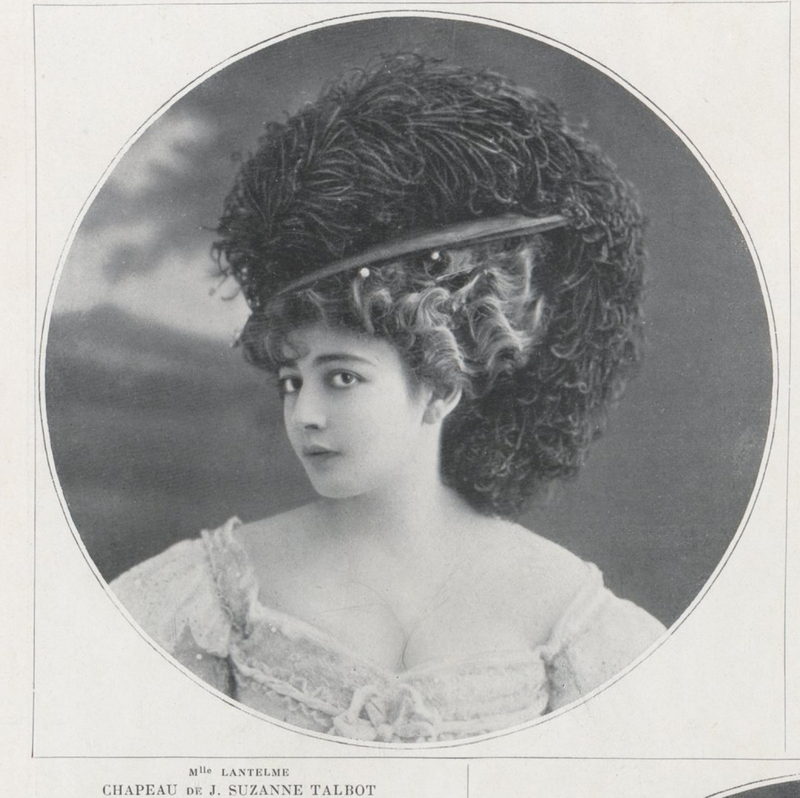 Lantelme in Les Modes (July 1902). Lantelme in Les Modes (June 1905). Hat by Reboux. Lantelme in Les Modes (July 1905). Dress by Doucet. 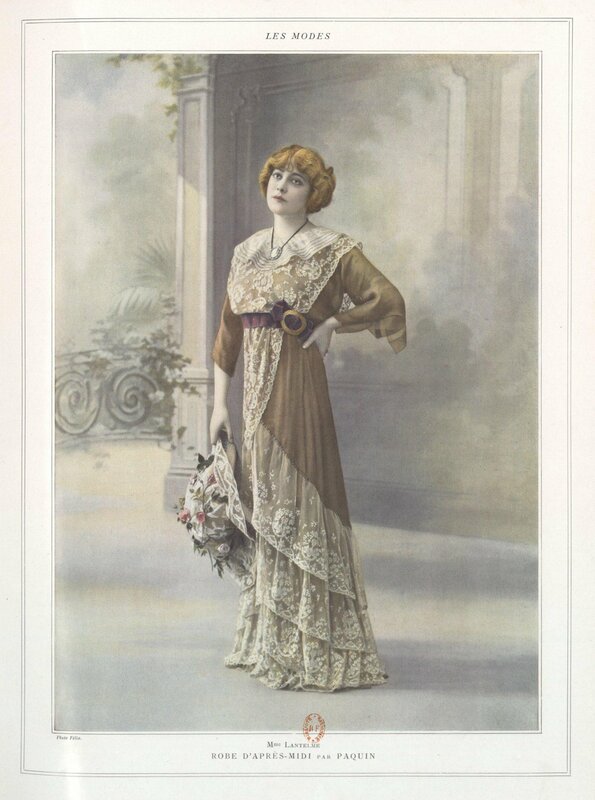 Lantelme in Les Modes (March 1906). Hats by Suzanne Talbot. 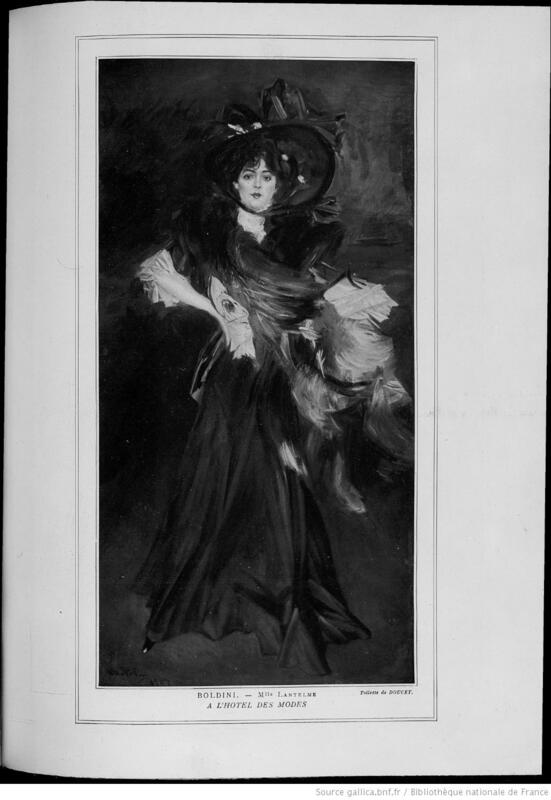 Lantelme on the cover of Les Modes (April 1907). 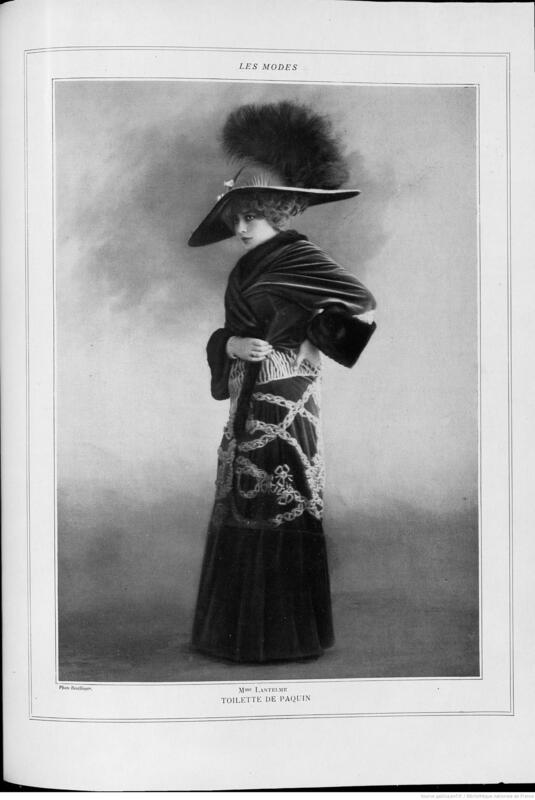 Lantelme in Les Modes (December 1907). Dress by Doucet. 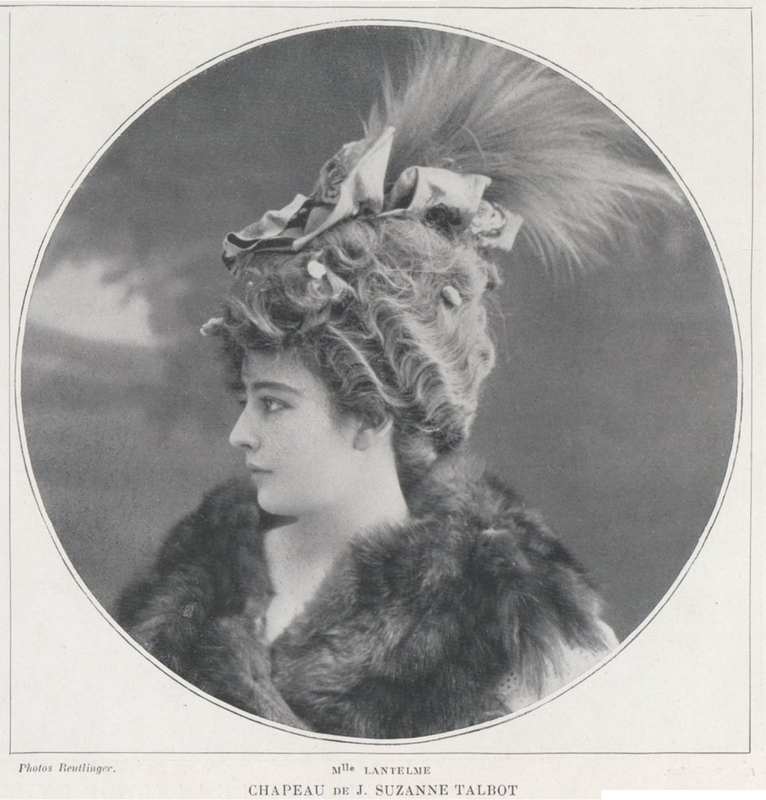 Lantelme in Les Modes (November 1908). 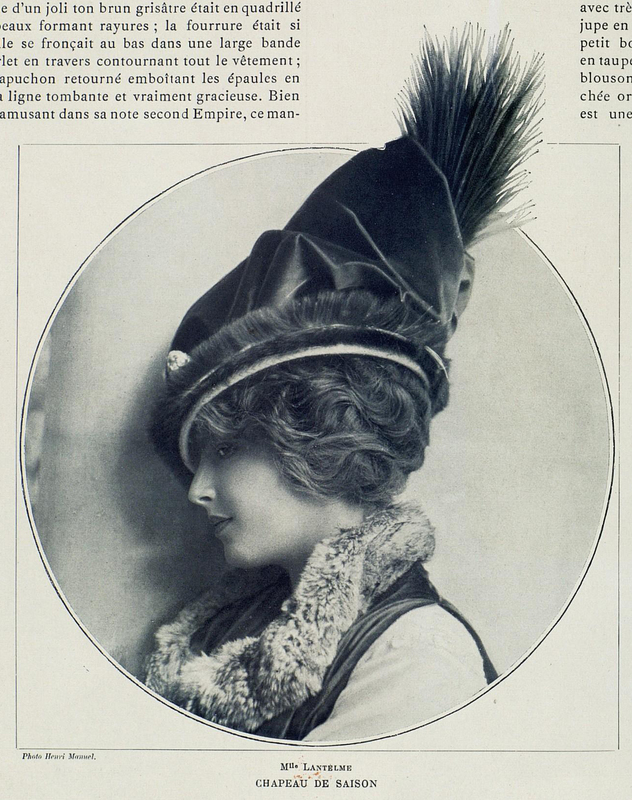 Lantelme in Les Modes (December 1909). Coat by Doucet. Lantelme in Les Modes (January 1910). Hat by Marie-Louise. 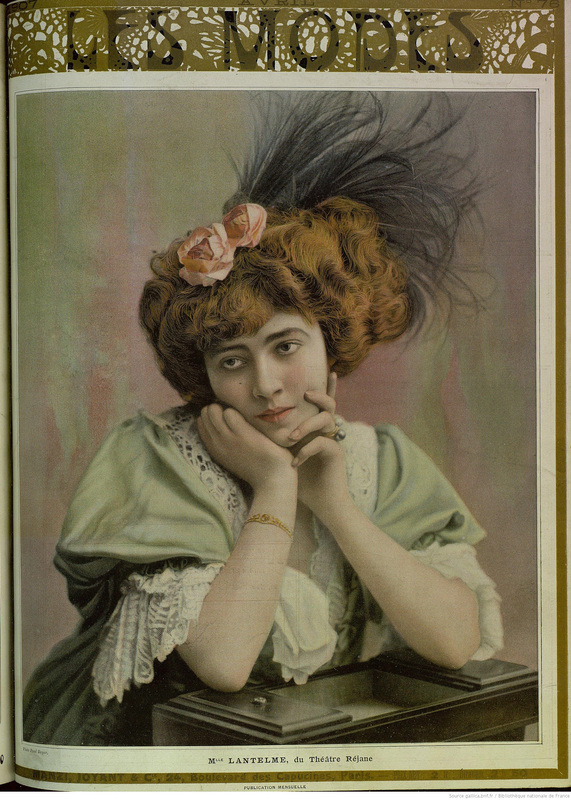 Lantelme in Les Modes (June 1910). Dress by Jeanne Lanvin. 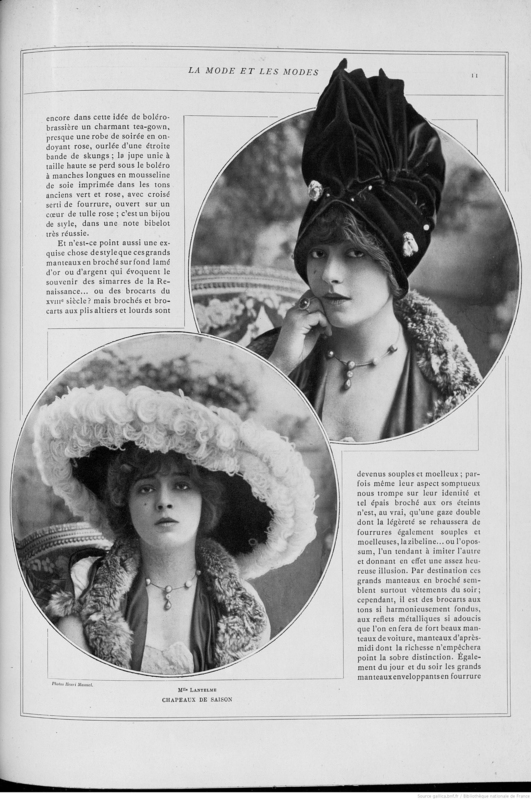 Lantelme in Les Modes (June 1910). 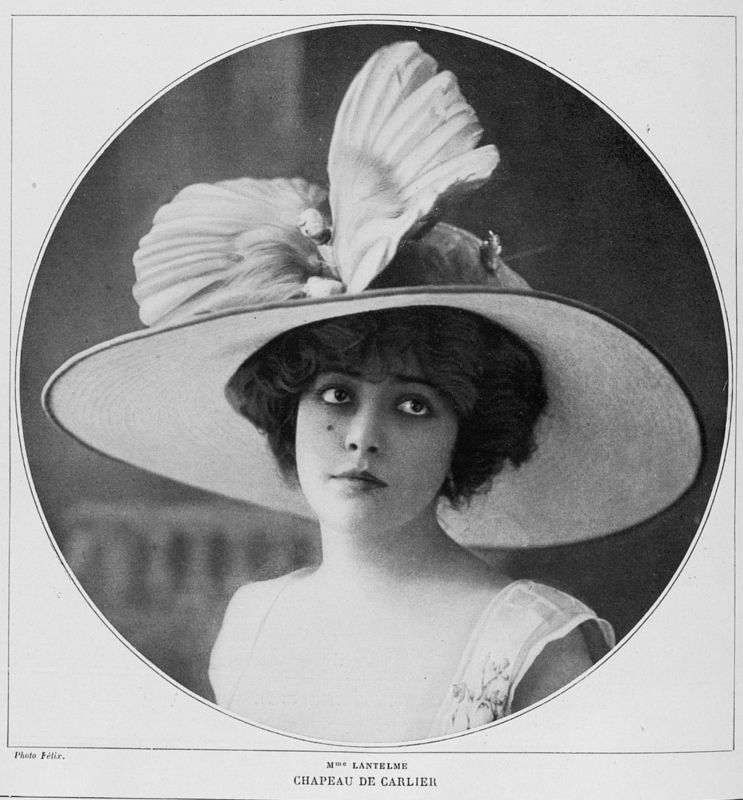 Lantelme in Les Modes (July 1910). 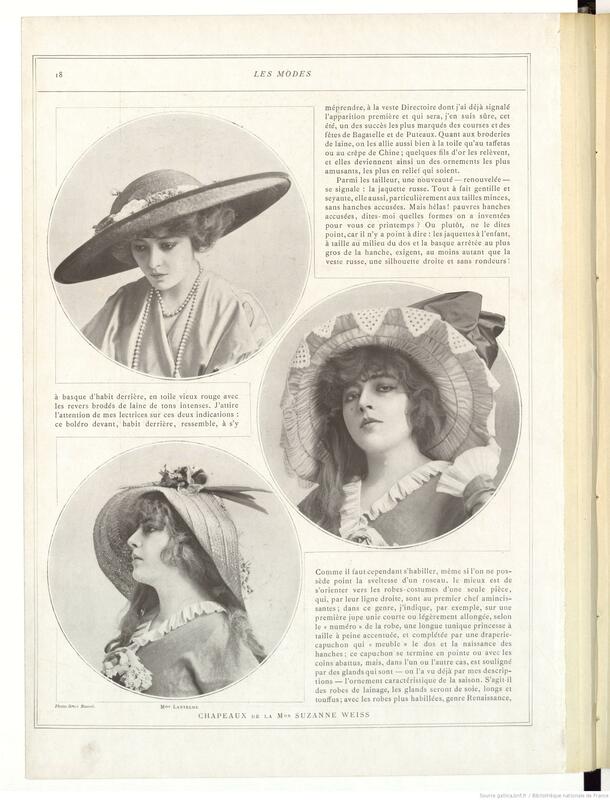 Hat by Carlier. 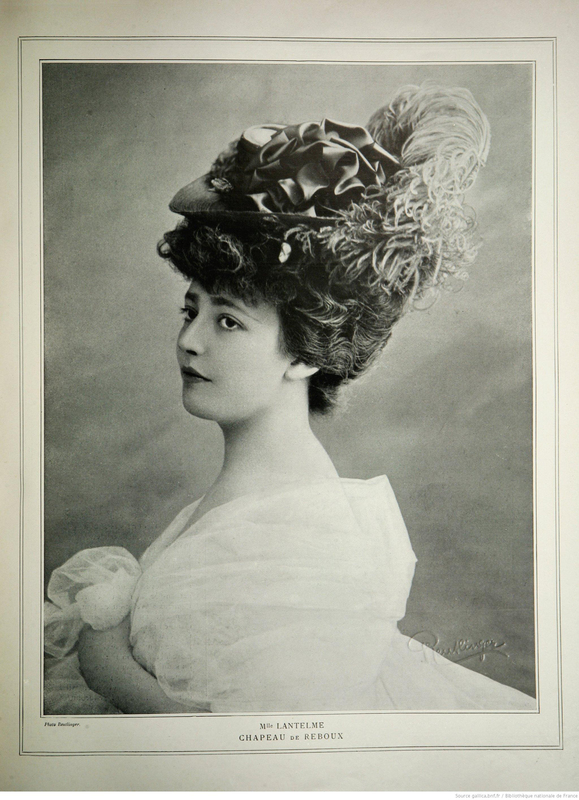 Lantelme in Les Modes (November 1910). 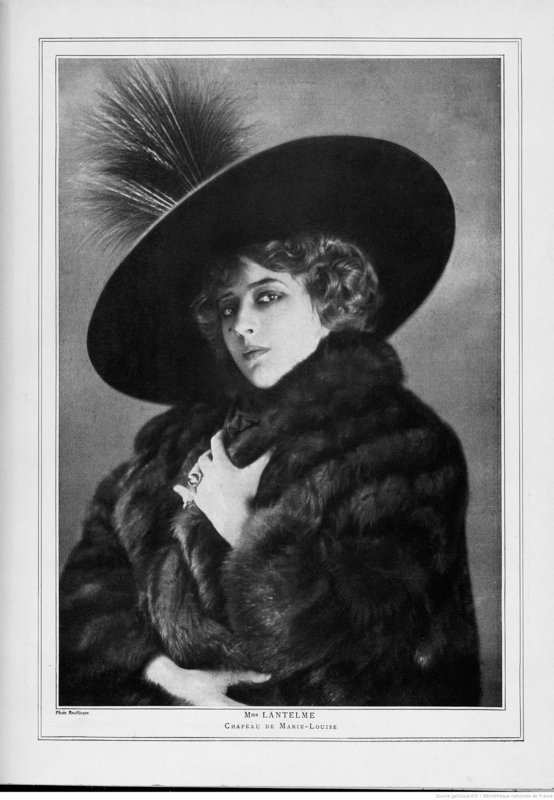 Lantelme in Les Modes (December 1910). Dress by Paquin. 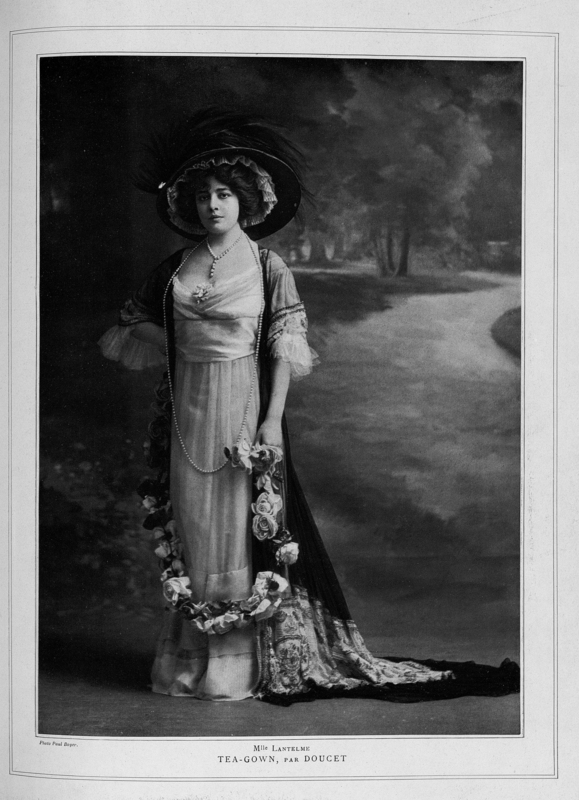 Lantelme in Les Modes (March 1911). 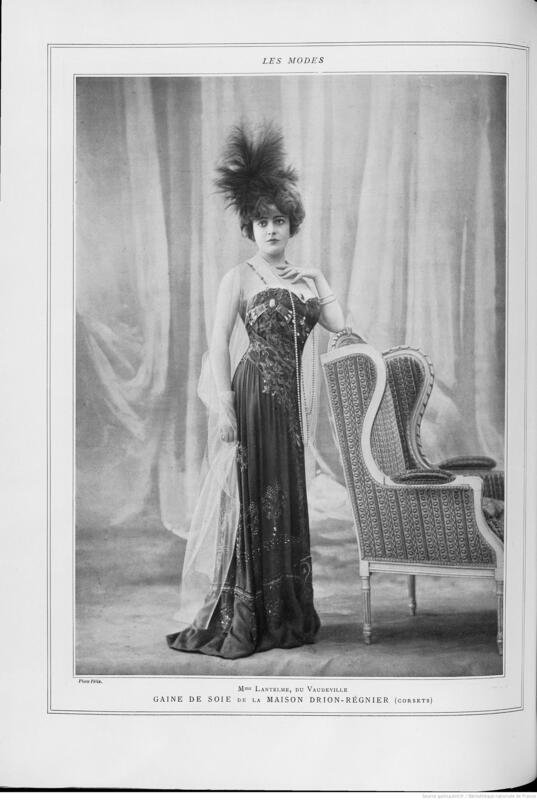 Dress by Paquin. 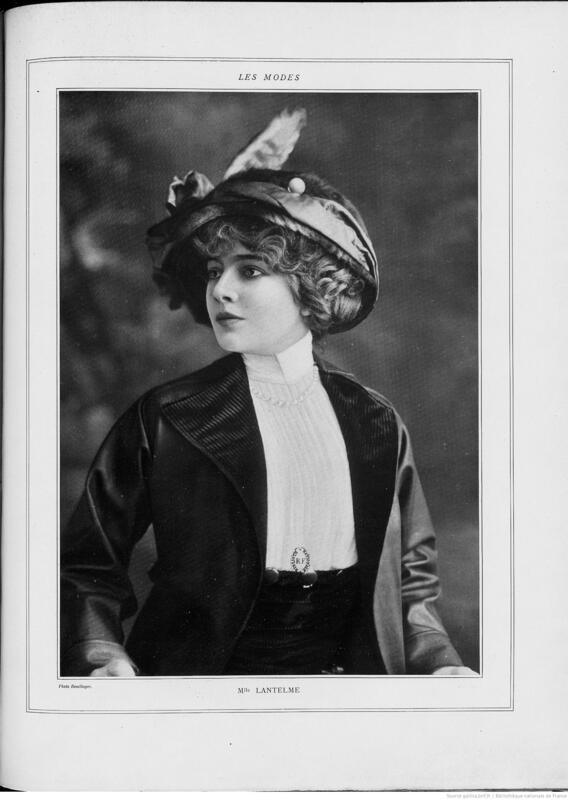 Lantelme in Les Modes (May 1911). Hats by Suzanne Weiss. 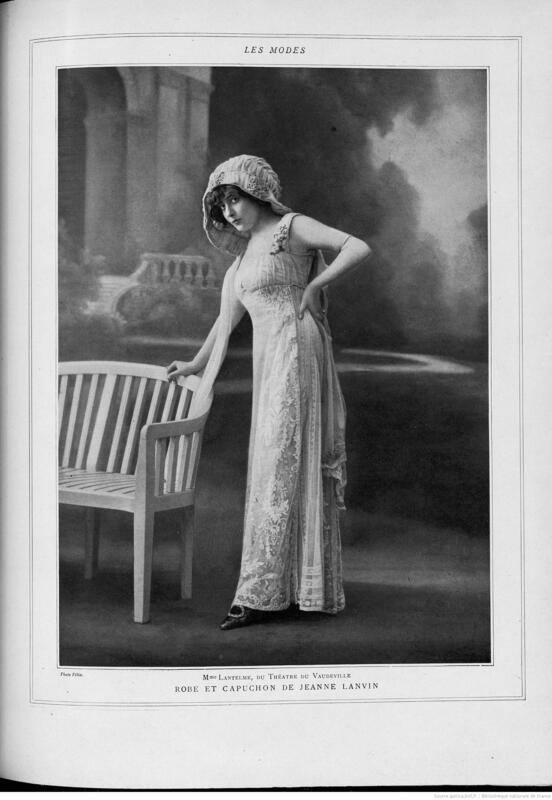 Lantelme in Les Modes (June 1911). Hats by Suzanne Weiss. 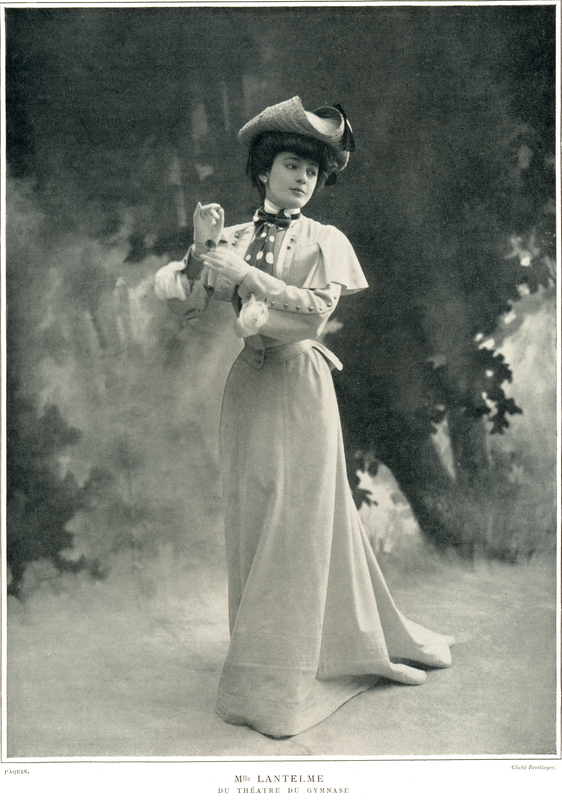 Very nice photo of Genevieve Lantelme, – pity it’s not coloured. 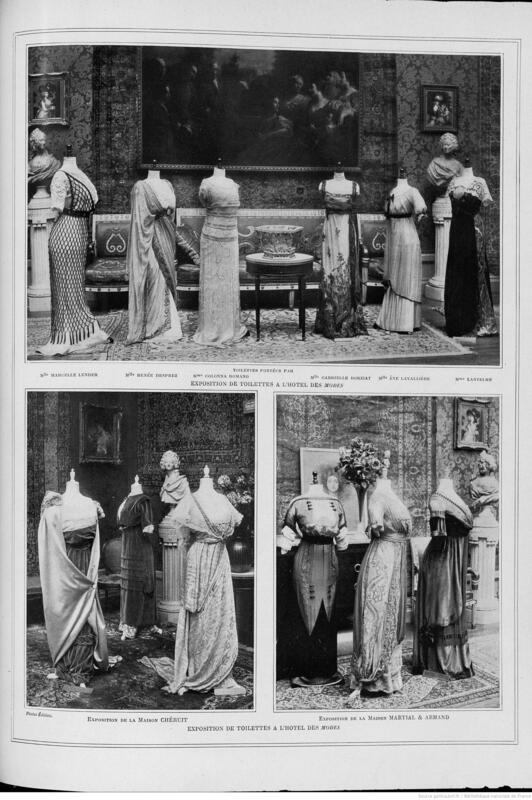 Scan from Le Theatre # 197, 1 March 1907. 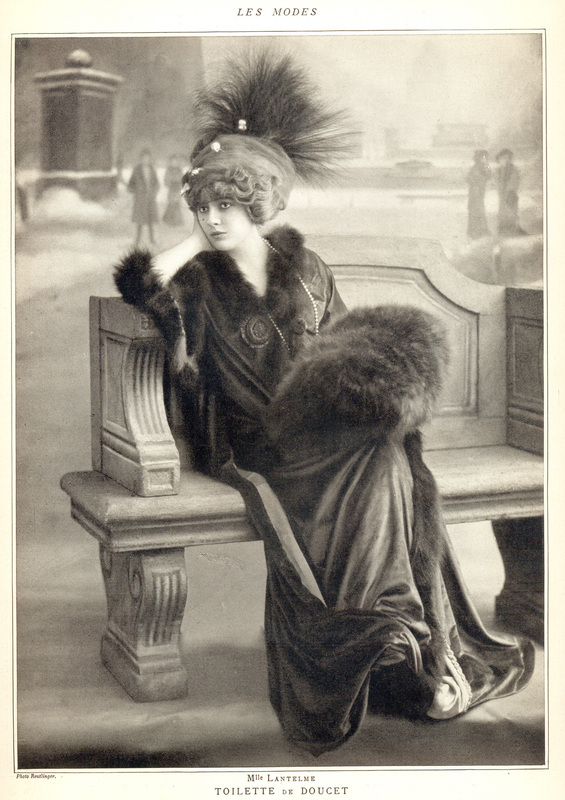 Genevieve Lantelme in Les Modes, January 1910. Hat by Marie-Louise. 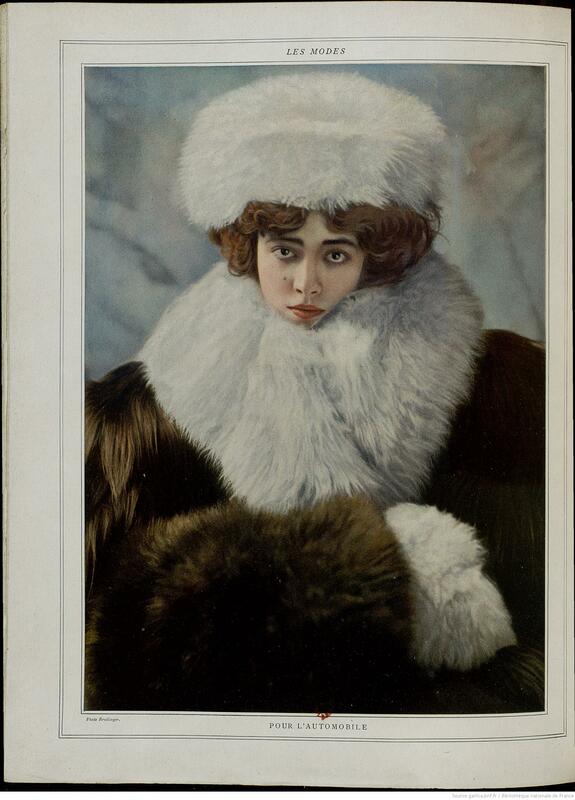 Classic winter look – furs, big hat and her favourite jewels. She loved pearls , rings, bracelets and platinum. The beginning of 20 century was a time of black and white photo. 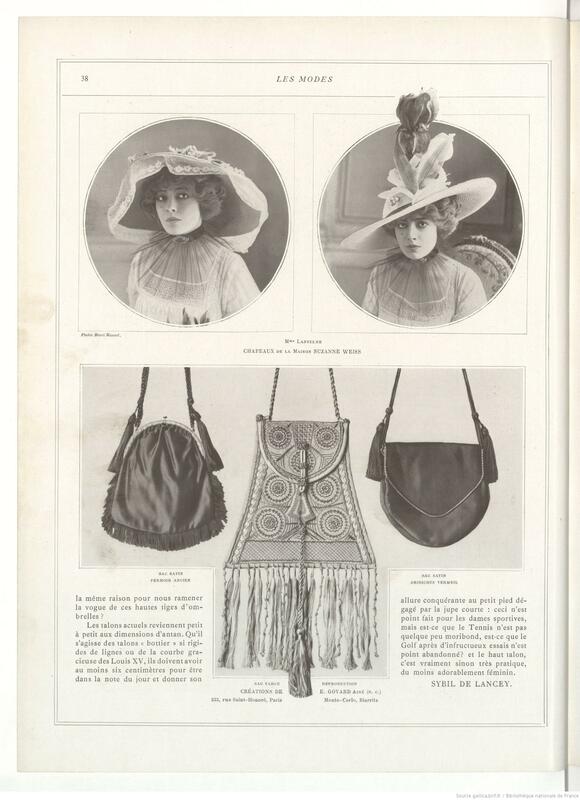 However the magazines of belle epoque had a possibility to publish full-color pictures. And almost every number of Les Modes included a cover in color and two colorized photos inside.